We have high regard for those schools and respect their decision. However, our public school districts — which serve rural Mississippi communities in the Delta, Appalachia, and central parts of the state — have chosen to go in precisely the opposite direction. Advanced Placement courses, we believe, provide exceptional students with critical tools needed to achieve at a high academic level, as well as an inducement to excel. At a glance, our schools appear far different than our Washington counterparts — prominent institutions that have educated the children of presidents and regularly place graduates in selective universities. The median household incomes in each of the counties we serve are less than the tuitions at each of those schools — in most cases, far less. 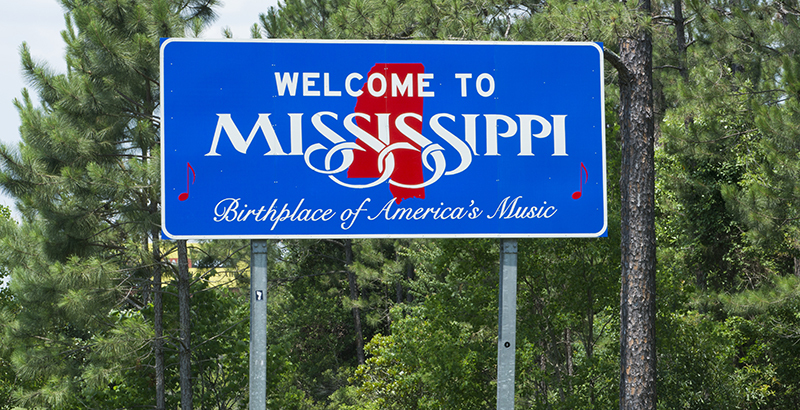 Of the 82 counties in Mississippi, the most impoverished state, ours include those with the highest overall and highest school-age poverty rates. We are rural — Mississippi has a higher percentage of students attending school in rural districts than all but two states. Also, our demographic profiles mirror the communities we serve, and thus vary widely, from almost entirely black to primarily white. Notwithstanding our differences, we believe we share key traits with the best schools anywhere. We care deeply for our students and are committed to helping them succeed. We have bright students who, if given the opportunity and necessary support, are capable of excelling academically. AP courses help to bridge the divide between our students and students from our Washington counterparts. For students who cannot always look to family members for insights on how to best prepare for college, AP provides a proven template for developing the substantive foundation and analytical skills needed to succeed at postsecondary work. And, for schools such as ours that aspire to send graduates to selective colleges but have not yet done so in substantial numbers, those colleges seek some objective, quantitative assurances that our students can thrive there. AP provides that. Perhaps most important, our AP students are engaged, learning, and beginning to view themselves as part of a high-achieving cohort. As noted in a seminal study by Stanford’s Caroline Hoxby and Harvard’s Christopher Avery, high-achieving students rarely have ambitions commensurate with their talents unless they view themselves as high achievers. In short, students tend to share the ambitions of their peers. Through AP, our most promising students become part of a community of achievement that extends far beyond our rural districts, immersed in a common course of study with talented peers across the country and beyond. That’s why, together with other rural districts in our state, we have formed the Mississippi Public School Consortium for Educational Access to provide advanced high school courses for our students, regardless of where they live or their family circumstances. The consortium is working with the Global Teaching Project, which provides educational content, organizational assistance, and academic support, and utilizes faculty and students from Stanford, Virginia, Yale, MIT, Clemson, and Mississippi universities, to offer AP classes where, in many cases, none had been available before. The inaugural course in our AP Access Pilot Program, offered in 10 Mississippi high schools in the 2017-18 academic year, was AP Physics 1, a subject for which teachers are extraordinarily scarce. Our classes are taught in a blended format, with multiple components. The lead instructor is an acknowledged expert — AP Physics 1 is taught by Dr. Meg Urry, director of the Yale Center for Astronomy and Astrophysics — who teaches primarily by pre-recorded, asynchronous video. The course was filmed in Washington, D.C., in a classroom with actual high school students, set up by the Global Teaching Project for this purpose. The course was professionally filmed in an interactive style, so students viewing the videos would feel as if they were in the classroom — and part of a high-achieving cohort of their peers. In-class instructors, who are experienced teachers with relevant, substantive skills, build on subject matter taught by the lead teacher and implement lesson plans and online platforms developed by Mississippi-based, AP-certified supervisory teachers, who also provide pedagogical guidance. College students majoring in applicable subjects conduct regular interactive tutoring sessions with each class by videoconference, using virtual whiteboards. Students also are provided with textbooks, workbooks, and substantial online resources. Our AP students prepare for the curriculum’s rigor through university-based, residential summer and spring programs, where they comprise a community of achievement with other high-performing students from rural Mississippi, as well as university faculty — including Urry, who has worked directly with students in several of our residential programs in person and via live videoconference — skilled instructors, and college student tutors. We are heartened by our initial progress. In our first year, the consortium increased the number of Mississippi public high schools offering AP Physics 1 by 30 percent. Our students embraced the academic rigor and bravely took on the challenge of an exam that fewer than 1 in 1,000 public high school students in our state passed the previous year — and that no students at their schools had ever even taken. Though our overall first-year scores compared favorably to modest state baselines, results were mixed. Some students did well, others struggled, but all learned — a lot. And this school year we will do better, with more districts, students, and classes that have been refined to reflect the lessons of our initial year. Over the next several years, we also plan to expand substantially the AP courses offered, including additional AP STEM classes such as biology, Physics 2, and calculus. In rural Mississippi, we are committed to doing everything we can to help our students achieve their full potential. The rigor, structure, and accountability of Advanced Placement help them do so. Jeff Clay is superintendent of the Aberdeen, Mississippi, School District. Dr. Todd English is superintendent of the Booneville, Mississippi, School District. Dr. James Henderson is superintendent of the Holmes County, Mississippi, School District. Dr. Evelyn Jossell is superintendent of the Quitman County, Mississippi, School District. Dr. Tony McGee is superintendent of the Scott County, Mississippi, School District. Dr. Brock Puckett is superintendent of the Pontotoc County, Mississippi, School District. Dr. Val Towner is superintendent of the Coahoma AHS, Mississippi, District.